Managing more than 1 properties. Bulgaria is a much less mature market than other European property markets such as Spain. However Bulgaria has enjoyed a lot of interest recently and its tourism industry is growing at the fastest rate in Europe. Bulgaria is expected to enjoy 20 million annual tourists by 2010. While Bulgarian buy-to-let properties are still in their infancy, there are strong pointers for a healthy future in the rental market. Here is an outline of the pitfalls and plus points of the Bulgaria's buy-to-let market. 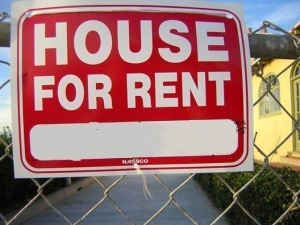 Over the past five years demand for rental homes has shown a dramatic increase, both from the consumer and supplier. The arrival of low cost airlines from all over Europe, the growth of sea, ski and golf markets, plus increases in city-based jobs as foreign companies move into Bulgaria, are all reasons for the rise in demand. The tourist summer season starts from May to September with a peak in July and August. However, that will increase in the future with year-round golf. Bulgarian autumn and spring turns out to offer excellent conditions for the golf industry. Expectations are for 8 months active tourism. Bulgaria is rapidly becoming a cheap option for winter breaks as well. The season is from December to April, peaking in January and February. Low prices for property can offer buy-to-let customers a good deal. Rural tourism is becoming more and more popular. There are numerous cheap village properties available for those who wish to invest. However it's important to select a home with comfortable interiors, pleasant outdoor areas and, preferably, a swimming pool. Places of interest in the surrounding areas are also a big plus. Ensuring the location is near an airport is a key factor. Clever marketing in neighboring countries, such as Romania and Greece, is also important to succeed in the village rental market. The most popular holiday rentals are villas with pools, pleasant outdoor areas and close to the coast, mountain or spa resort. Hotspots include big city rentals in Sofia, Plovdiv and Varna. Areas to watch are golf spots and sea towns with access to golf courses like Kavarna and Balchik. Other attractive areas include cities with Universities or so called Student Cities. Those would be Sofia ,Varna, Blagoevgrad and Veliko Turnovo. The rental potential is from 4% to 8 % annually. Moreover the rent and resale is easier as prospects are Bulgarian people not only foreigners like the holiday properties. Before you buy, research the market thoroughly and assess realistically whether the rental income can pay part of the mortgage on a rental home. The Bulgarian mortgage scene is still immature compared with many overseas countries and does not offer a wide range of products. Despite the strong market for rental property in Bulgaria, and the continuing general interest in Bulgarian property investment, there is only a one-size-fits-all mortgage available. When a bank is considering a Bulgarian mortgage application, it will not make any distinction between a main residence, a second holiday home, and a buy-to-let investment. As the market matures, a specific buy-to-let loan may be designed.For the present, all Bulgarian property investments are treated the same by mortgage lenders.